The Department of Hepato-Pancreato-Biliary Surgery and Liver Transplantation at BLK Superspeciality Hospital, one of India’s largest tertiary care medical centre, aims to provide state of the art facility for the optimal treatment of patients suffering from Liver, Biliary, Pancreatic and Gastro-Intestinal diseases. The mission of the team is to provide individualized, patient-centric medical services using the latest evidence-based guidelines at par with international standards, at an affordable cost with a human touch. Despite the focus on advancements in diagnosis and treatment of a select group of diseases, with an emphasis on research, the department has uncompromising ethical standards and every activity is carried out in such a way that patient safety, dignity and privacy is respected. It also endeavors to pioneer training and research in the field of Digestive &Hepato-Pancreato-Biliary Sciences and Liver Transplantation. The hospital has all state of the art facilities capable of working 24x7. The Transplant team has the distinction of being one the most experienced in the region. The department deals with the entire spectrum of diseases of the liver, biliary tract and pancreas requiring surgical treatment and is one of the few centres in the country where living donor liver transplantation is being carried out regularly. Technically complex and challenging surgeries for diseases such as cancer gallbladder, hepatocellular carcinoma and pancreatic cancer are routinely performed. The team members have been trained at the best centers in the world and have vast experience in managing patients with liver disease and performing Liver Transplantation. A competent nursing and technical support team ensures optimum and uncompromising patient care. The department has advanced critical care unit with 16 dedicated ICU beds. 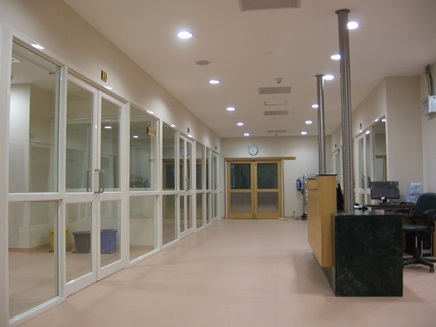 A typical Liver Transplant ICU unit has separate cubicles with laminar flow. The post-transplant patients being on immunosuppressive medications are immensely helped in their recovery following surgery by this unique design. 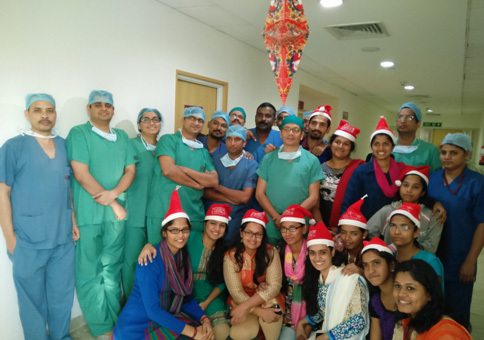 The team is also backed up by an enthusiastic and hardworking team of Physiotherapists and Dieticians. The team has been involved in over 700 liver transplant procedures and has established a successful transplant program which caters to both adult and pediatric patients with End Stage Liver Disease with results at par with the very best centres in the world. We have also been successful in establishing a Deceased Donor Transplant Program and have performed the maximum number of deceased donor organ recoveries and transplants last year in Northern India. With a strong background in advanced gastrointestinal surgery, the department also deals with surgery of diseases of the gastrointestinal tract such as esophago-gastric & colo-rectal cancer. Advanced laparoscopic surgery including surgery for morbid obesity is one of the thrust areas of the department and a healthy synergy exists between traditional open surgery and modern minimally invasive surgery. The department intends to establish a Minimal Access G.I. Oncosurgery Program in the Delhi-NCR. We have also initiated a ‘Bile Duct Helpline’, a novel initiative to provide interest free support to patients with bile duct injuries and to the physicians involved in their care. Despite the focus on advancements in diagnosis and treatment of a select group of diseases, with an emphasis on research, the department has uncompromising ethical standards and every activity is carried out in such a way that patient safety, dignity and privacy is respected. A team of internationally recognized specialist Surgeons, Anesthetists, Intensivists, Hepatologists& Gastroenterologists work in tandem with Diagnostic and Interventional Radiologists, Hepatopathologist, Clinical Microbiologist & Infectious Disease Specialists, Nephrologists, Cardiologist, Pulmonologist, Endocrinologist, Medical & Radiation Oncologist to provide round the clock quality patient care. They are competently assisted by specially trained Transfusion Medicine Specialists, Transplant Coordinators, Clinical Nurses, Clinical Psychologist, Dieticians, Physiotherapists, Technicians, Counselors and Quality Control Staff, with exhaustive experience in the management of these patients. The Transplant team has the distinction of being one the most experienced in the country with results at par with the best centres in the world. The team members have been trained at the pioneering centers in the world and have vast experience in managing patients with liver disease and performing Liver Transplantation. Technically complex and challenging surgeries for diseases such as cancer gallbladder, hepatocellular carcinoma and pancreatic cancer are routinely performed. A competent nursing and technical support team ensures optimum and uncompromising patient care.